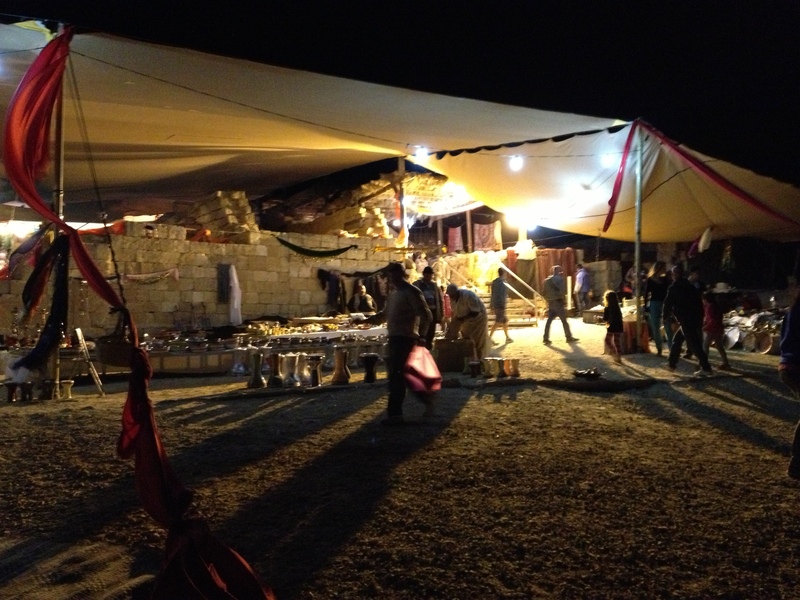 A makhtesh… a what? 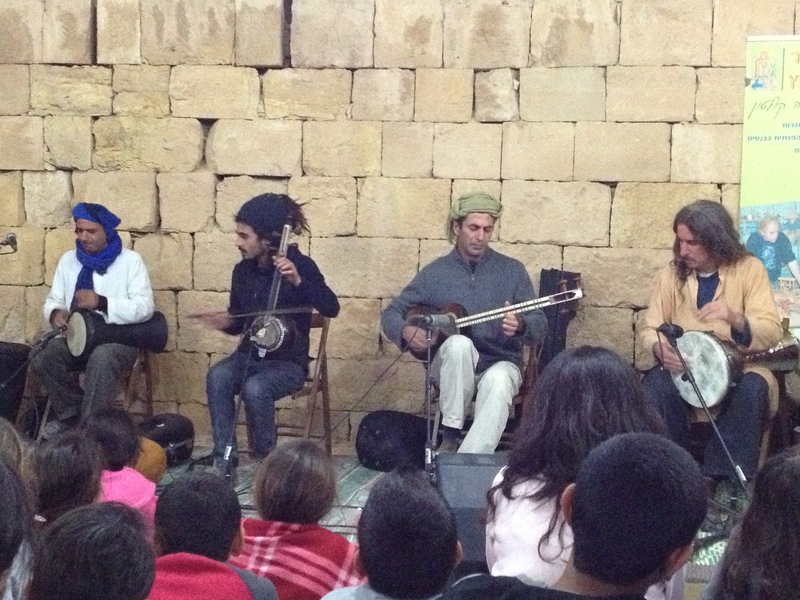 A makhtesh! 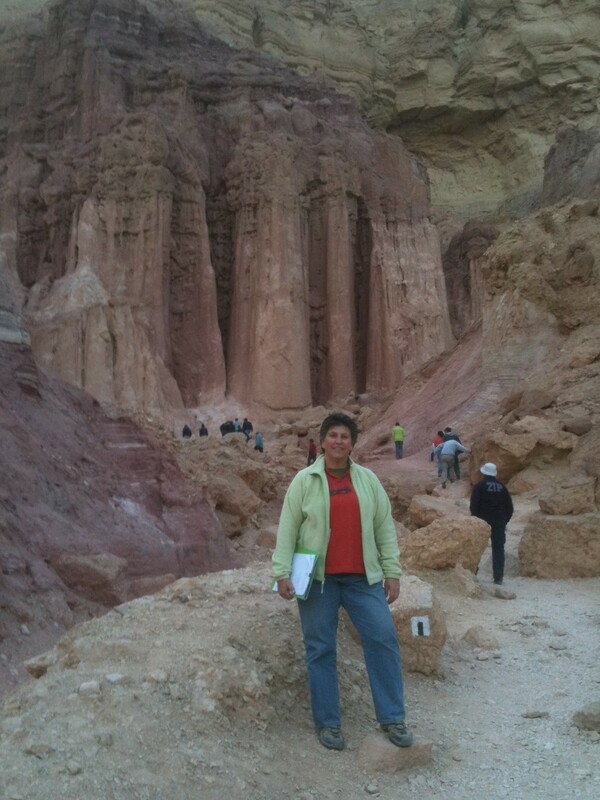 As we continue in my series of posts on the beautiful Negev, we arrive at the point where we need a short lesson in geology. I know, not all of us love geology, so I promise a short and easy-to-understand explanation. 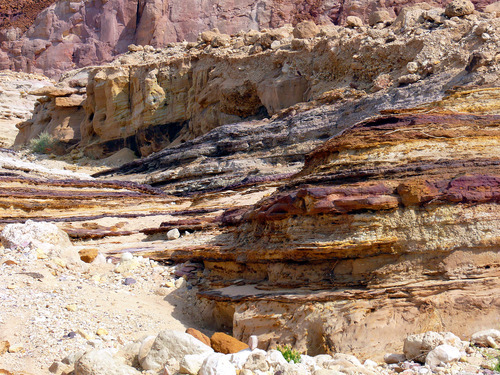 The Negev cannot be fully appreciated without an understanding of the unique and fascinating geological processes by which it was shaped and formed. 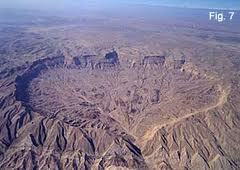 A makhtesh is sometimes translated as a ‘crater’ but that is misleading, as craters are usually created by volcanic eruptions or meteorites hitting the Earth’s crust. A makhtesh is none of that… it is a geological formation unique to the Negev and the Sinai, created by erosion, the slow process by which soil and rock is removed by wind or water flow, then transported and deposited somewhere else. It all started hundreds of millions of years ago, when the Earth’s crust was repeatedly covered with layers of sediments. For millions of years, these sediments would be of tiny grains of sand, made up of quartz and feldspar and other minerals eroded away from massive granite mountains that had been created by magma emerging to the surface of the Earth. These sand deposits eventually hardened and became different types of sandstone. Then, with shifts in the tectonic plates, the area would be covered by an ancient ocean for millions of years, and skeletons and shells of billions of marine creatures would sink to the sea floor, laying layers of calcium carbonate (CaCO3 for those chemistry inclined), eventually creating limestone and chalk. This geological process repeated itself over and over again. Hard limestone layers and soft sandstone layers, accumulating on top of each other over the millenia. Stay with me, it gets better. The Negev (and most of the areas of Europe and the Middle East) was covered by an ancient body of water called the Tethys Sea about 100 million years ago. As it began to recede, immense geological pressures started pushing and shoving the terrain into folds, eventually becoming mountain ranges that all extend in the same direction, from the southwest to the northeast. 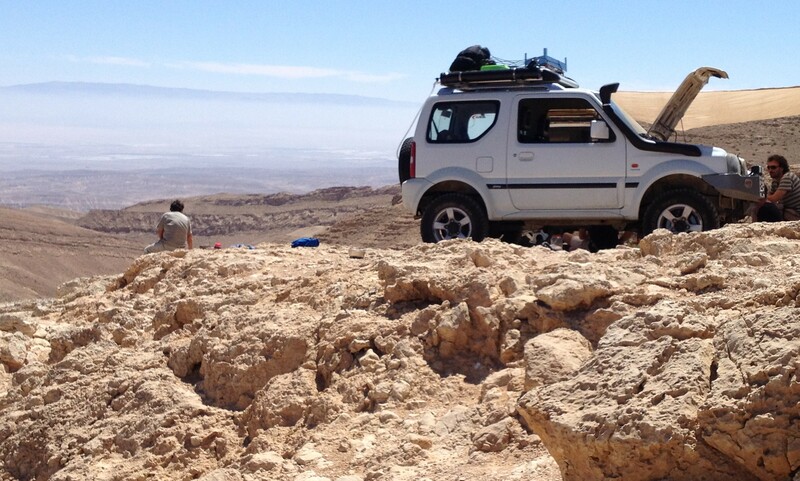 These ranges are clearly visible today and reach from the Sinai to the southern Dead Sea. As the folds, now mountain ranges, began to rise, deep cracks were created in the top hard limestone. Rainfall found its way into these cracks, and over time made them deeper. As the cracks became bigger, the water reached the deeper sandstone layers and began to erode the sand away. The harder top layer of limestone eroded slower, the softer sandstone underneath eroded faster, and over several million years, a large cavity in the ridge formed, and voila… a makhtesh! The Makhtesh HaKatan is a beautiful site, an almost perfect bowl, carved into the colorful sandstone of the Negev. It is still drained by only one stream and has attained a balance of sorts, not growing and not shrinking. It is the smaller of the three makhteshim in the Negev and the first you should visit in order to fully understand this geological phenomenon. Sitting on the edge of this beauty is quite breathtaking. This makhtesh is only accessible by foot and walking its many hiking trails is an amazing experience. The sandstone walls are gorgeous, painted different colors by the amount of oxides in the sandstone; iron makes red, copper makes green, manganese makes orange… there are also browns and purples and whites and yellows, quite a kaleidoscope of colors. 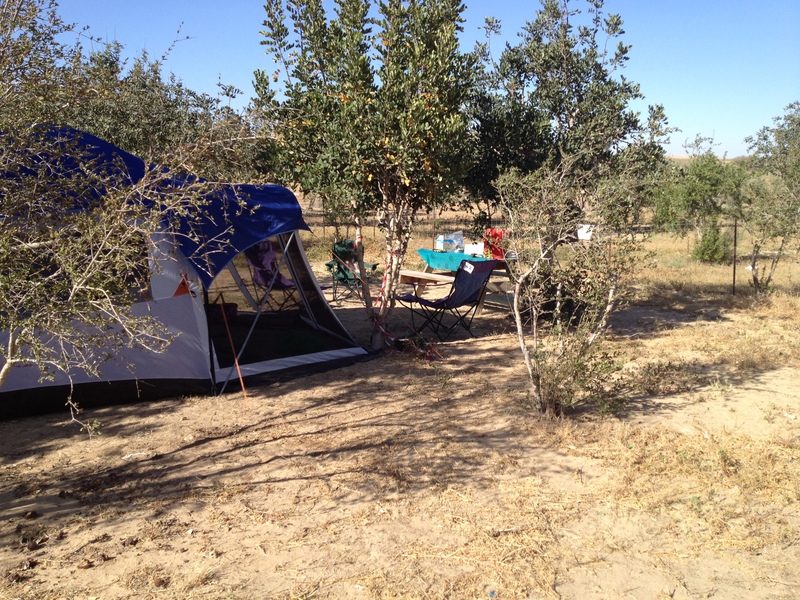 We will visit the other two makhteshim and go on other Negev adventures in my upcoming posts. Funny how some Hebrew names just do not sound well in English. Take for example the boy’s name Dror, or the girl’s name Osnat, beautiful names in Hebrew, but in English? No. 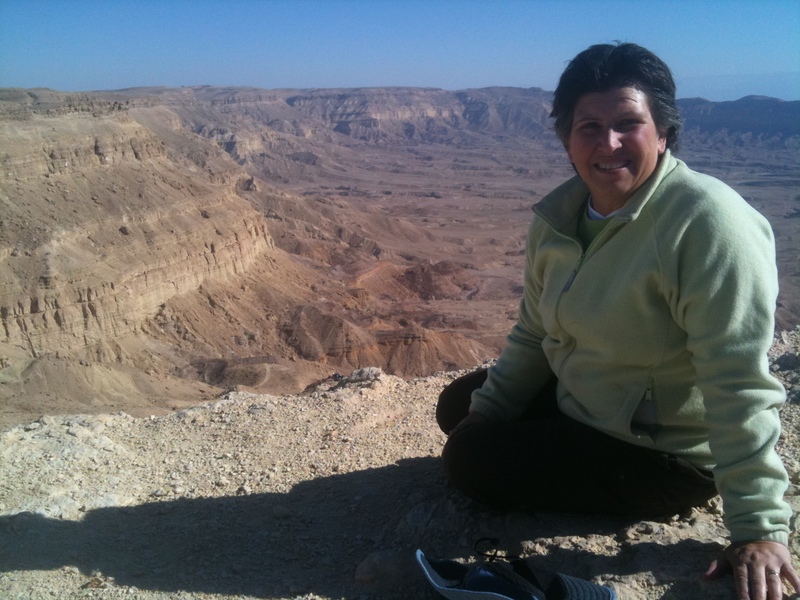 Such is the fate of an amazing place in the northern Negev called Mamshit. Let’s get one thing straight, it should have been transliterated to Mamsheet on all the English brochures, but go figure. Guess no one thought of it. Its actually pronounced Mamsheet… you gotta ‘sheeeeet’ when you say it. So now that we’ve got the pronunciation right, let’s get to business. 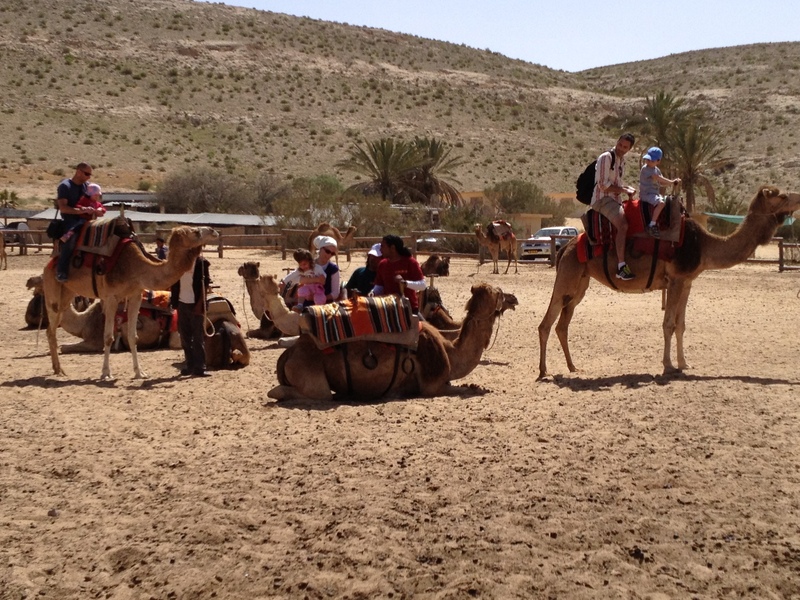 When visiting the Negev, do not miss this gem! Mamsheet (which is how I will spell it) is a beautifully restored ancient Nabatean city, that is not only a delight to visit because of its fascinating archaeology, history and architecture, but also because twice a year, during the 7 days long holidays of Sukkot and Passover, the ancient city comes to life with a fun, not-to-be-missed, ethnic, Nabatean market… but first, a little history. 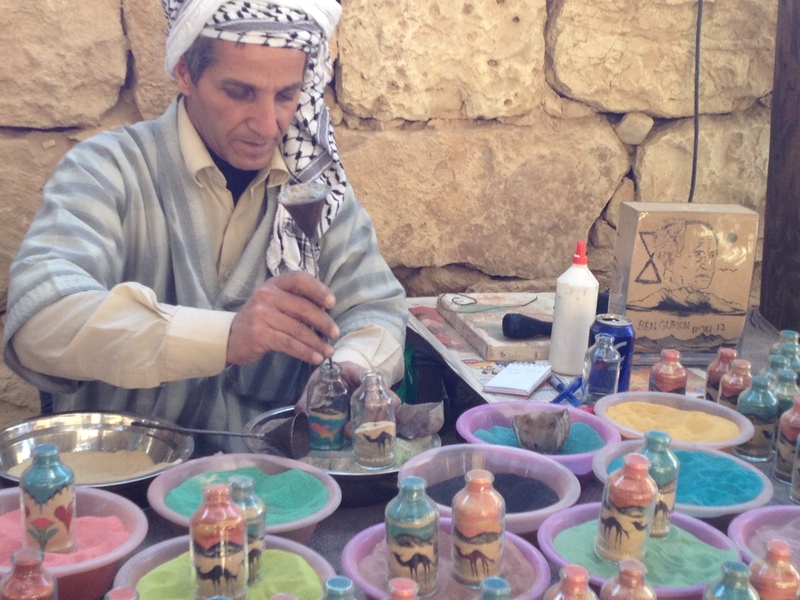 Mamsheet sits on the Nabatean Incense Route which ran from the southern Arabian Peninsula to the Mediterranean. 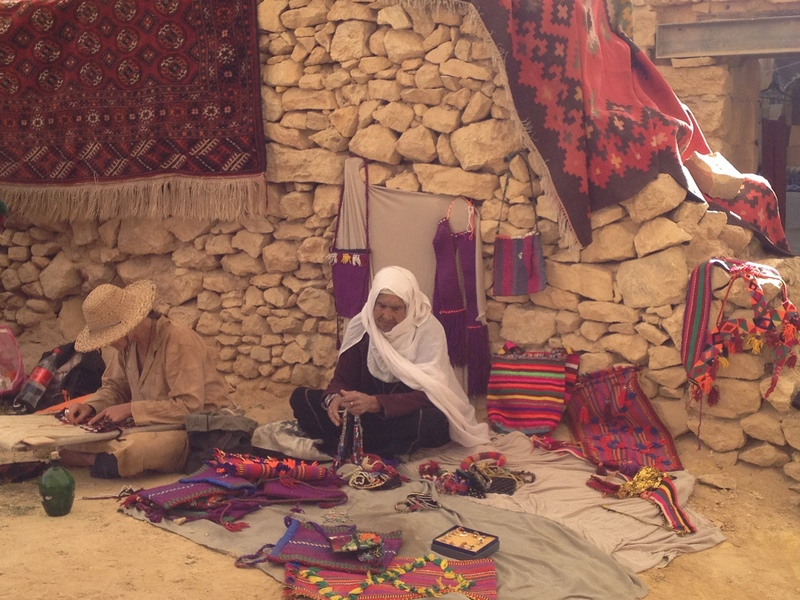 The Nabateans were masters of the desert, controlling the important incense and spice trade routes from about the 3rd century b.c.e to the 3rd century c.e. They accumulated great wealth as they transported myrrh and frankincense, cinnamon and nutmeg, and other luxury commodities from the East to the shores of the Great Sea. They built great desert cities, oases for their camel caravans, not only in the Negev but also east of the Jordan River, with amazing Petra as their capital. Mamsheet was built in the 1st century c.e. 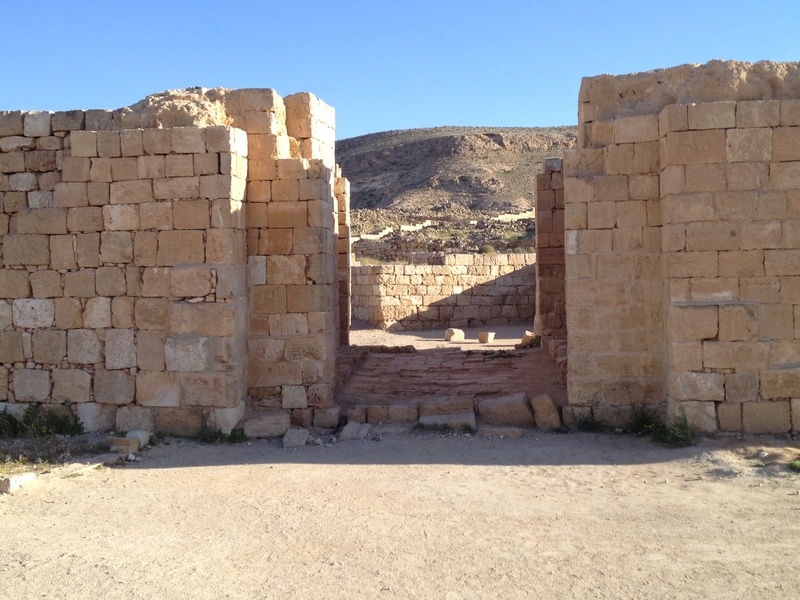 and was the only walled ancient city in the Negev, protecting its wealthy residents from nomadic intruders. 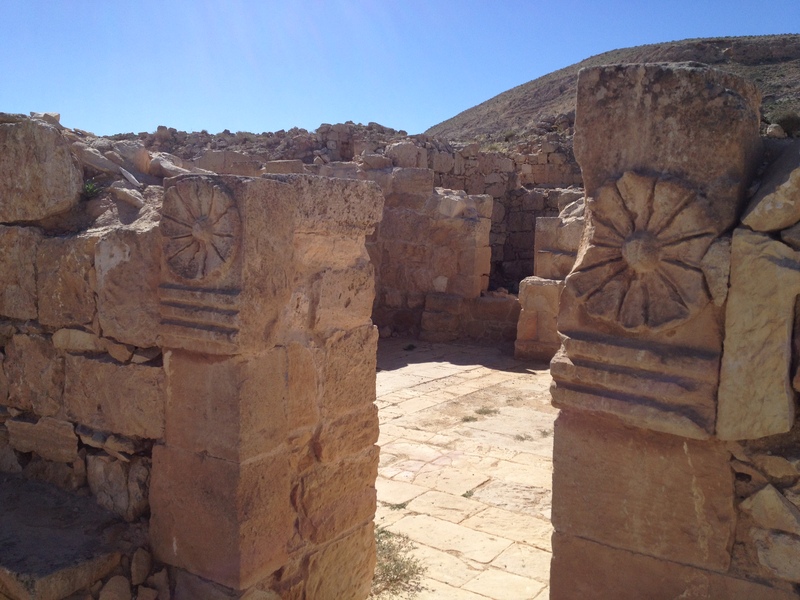 The Romans coveted this wealth and Emperor Trajan finally annexed the Nabatean Kingdom in 106 c.e., charging them high taxes and creating the province of Arabia Petraea. By the 4th century and the start of the Byzantine era, the Nabateans had settled down, developed unique desert agriculture techniques and began to breed Arabian horses. They eventually converted to Christianity and later, with the arrival of the Arab empires, they blended into the local population and disappeared as a culture. 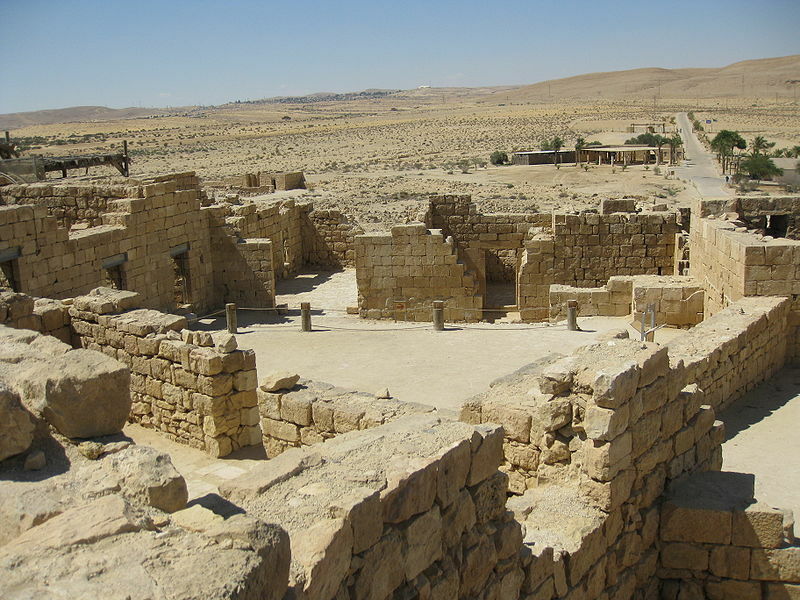 Although Mamsheet is the smallest of the Nabatean cities of the Negev, it has been beautifully restored. The city walls, one built in the 1st century and the second built by Emperor Diocletian in the 3rd century, still enclose the town. Today one can enter the city through its ancient gate. Several of Mamsheet’s streets have survived intact and visitors can enter rooms in luxurious homes, courtyards and even see troughs and stalls in the ancient horse stables. There are two well preserved Byzantine churches in Mamsheet, exquisite examples of basilica style churches; nave, aisles, atrium, apse, elaborate mosaics… the works! 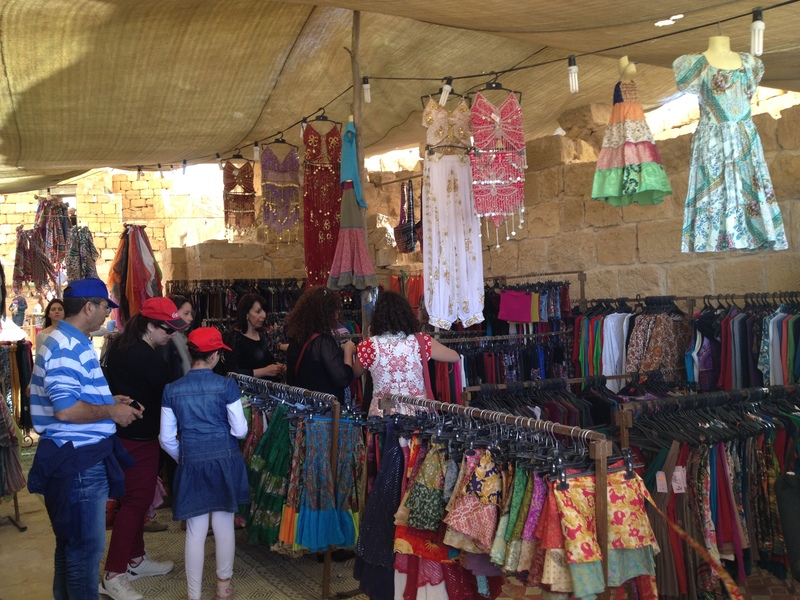 Walking through a beautifully restored Nabatean city is one thing, but visiting Mamsheet during Nabatean Market Days is FUN! 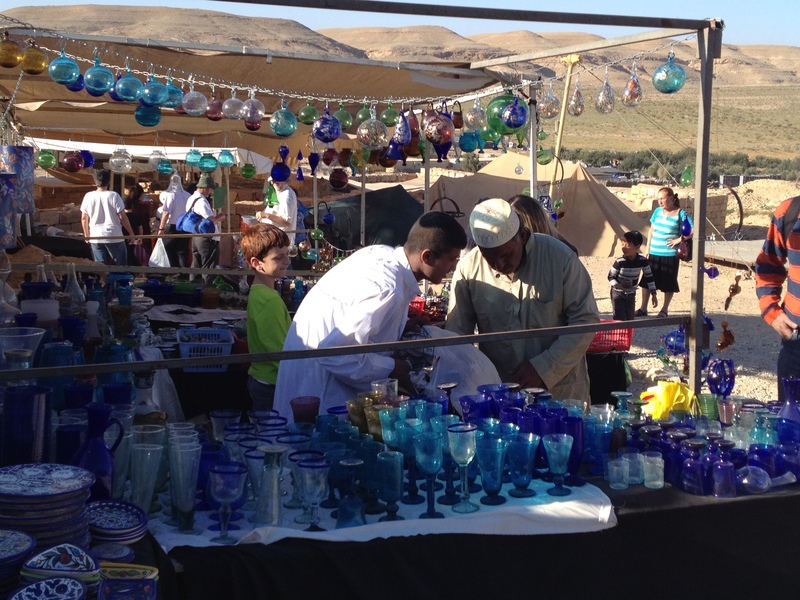 Usually on Thursday nights during Nabatean Market week, the market is open till the late hours of the night. It is an absolutely enchanting place to be and an unforgettable experience. 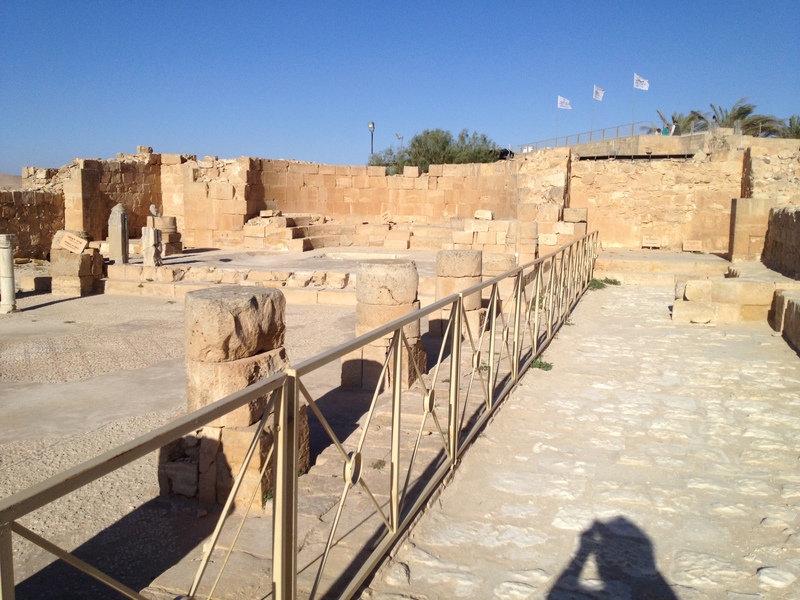 When in Israel for the first time, or the second, or fifth, one tends to visit the same ol’ places: Jerusalem, Tel Aviv, Haifa, Safed, Caesaria… and there is nothing wrong with that. Great places, wonderful experiences. However, I invite you to begin exploring a truly extraordinary region, a desert unique in its beauty, its geology, wildlife, history and increasing importance in facing today’s global challenges… the Negev. Today the Negev is a desert region that encompasses almost two thirds of Israel’s land area and includes cities, towns, kibbutzim, communities, farms, Jews, Arabs and Bedouins, a world class university and colleges, desert studies and agricultural research centers, military facilities, and industrial parks. It is an arid and semiarid, rocky desert of breathtaking beauty, incredible landscapes, fascinating ancient cities and archaeology, unique geological formations… but don’t only take my word for it. 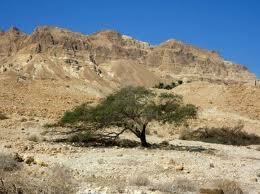 ” Look closely between the rocks of the wadis (valleys) and you will find water and even wine. The Negev Highlands region is also home to so many vineyards that it now has its own wine route. Today, ecologists from all over the world come to the kibbutzim of Sde Boker and the Arava to study solar energy and water treatment. But this isn’t new. 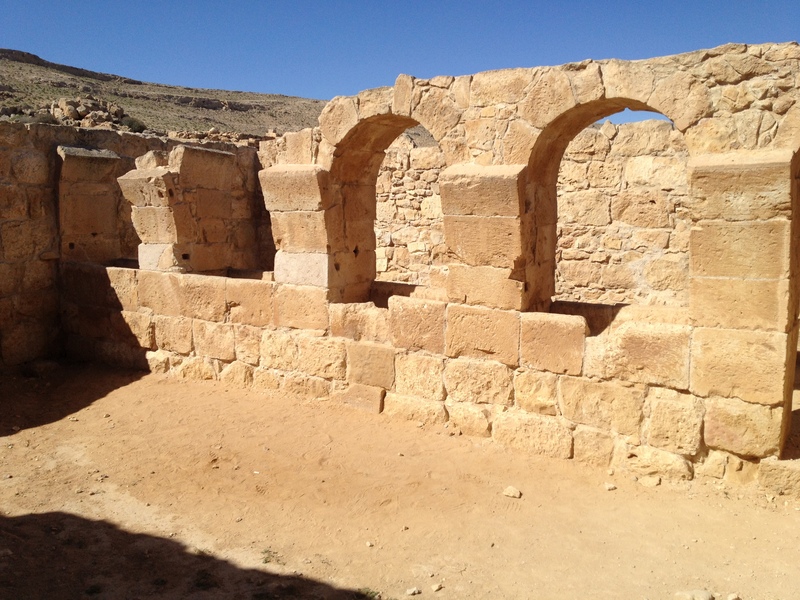 Two thousand years earlier, the Nabataeans cultivated grapes and practically invented desert irrigation, which can still be seen at the ancient ruins of Shivta, Mamshit and Avdat.